Pastel neon is having a moment as one of the most intriguing fall/ winter 2018-2019 hair color trends. The look is hard to wear, maybe so, but it’s also hard to hate, and we can see fashion followers everywhere adopting this scintillating trend this month. Pastels have a kitschy, neo-futuristic appeal that is perfect for the back-to-the-Eighties arcade energy of the season. A neon-pastel bob has a girlish, underground feel that infuses any look with a girl in the know energy. 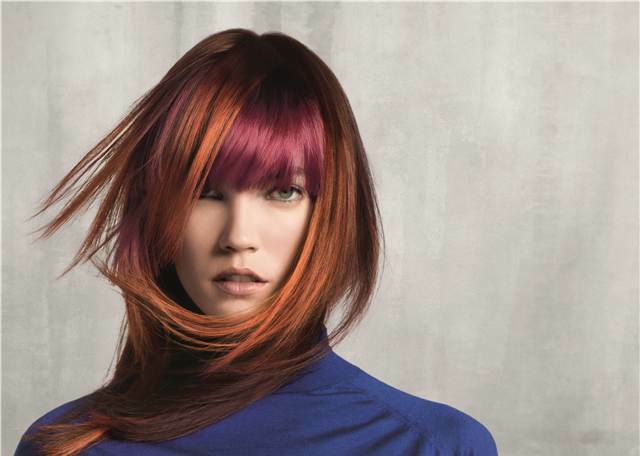 This season, natural red hair is everywhere! Focus on making your natural shade as healthy and dazzling as you can and don’t listen to anyone who says you can’t wear pink, blue, or any other color under the sun! At Boss, redheaded models let their bright and vivacious color contrast against stark black outfits. At Ann Demeulemeester, red hair was stark, minimalist, and architectural. At Guy Laroche, supple peach-red hair looked refreshing and original.